This is the hot selling castle crystal pageant crowns,6in 8in 10in all available. 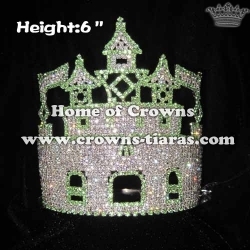 The color could be changed according to your demand,There is also anther castle crowns in hand,please contact directly if needed. Copyright © YiWu Home Of Crowns Co.,LtdAll rights reserved.